You are here: Home / Rider News EU 2009 / We Are Not Bugs! 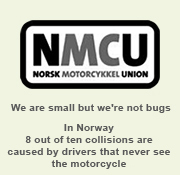 A new “safety” video produced by the Norsk Motorcykkel Union (NMCU) in Norway. 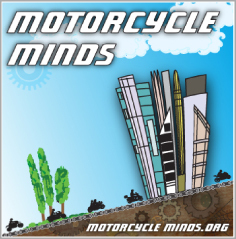 The video has a comedy slant on the serious issue of car drivers that never see a motorcycle. In Norway, 8 out of ten collisions are caused by drivers that never see the motorcycle, similar to the issue that we face here! As NMCU says, “We are small but we’re not bugs”. 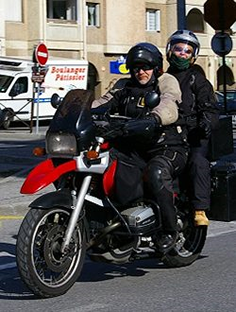 NMCU was formed in 1972 and is the sole organization looking after the interests of Norwegian road-riding Motorcyclists. it’s sunshine in my mind – oh how the sun shines!